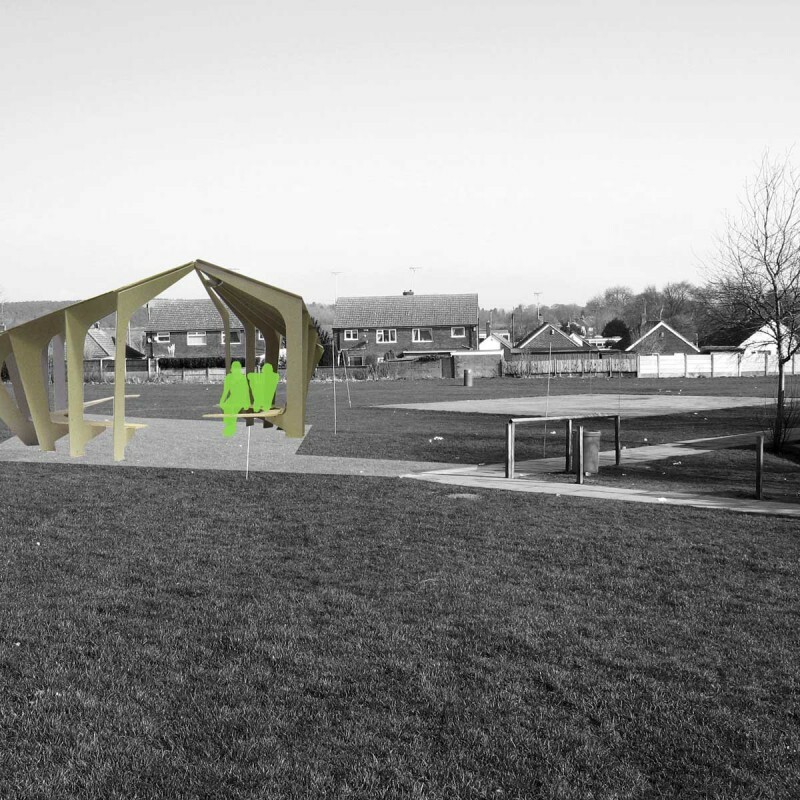 ‘Mission Addition’ was an innovative collaborative design project with secondary school maths students to create an outdoor classroom at All Saints School. The project was delivered in partnership with Bureau – Design+Research. During the 18-month process the students undertook a design process and learned essential architectural skills, including site surveying, site analysis, materials research and design development. The students explored different types of materials and undertook their own research based on environmental credentials, cost, availability and appropriateness for self-build. The project development embedded the collective learning experience within the school. With the assistance of the practice, students created full-size mock-ups of seats and structural elements to explore and develop detailed design proposals, as well as a scaled prototype of the structure. After local building contractors helped to level the site, the students spent a day setting out the geometry and orientating the structure correctly, ensuring they were heavily involved throughout the design, prototyping and construction phases of the project. The structure itself was designed around maths principles and aimed to be a learning tool, as well as location for social gathering at break times. The Creative Partnerships funded project had also enabled learning resources to be developed around the project process and product, embedding the collective learning experience through to benefit other pupils and teachers within the school.